flattering addition to any necklace collection. 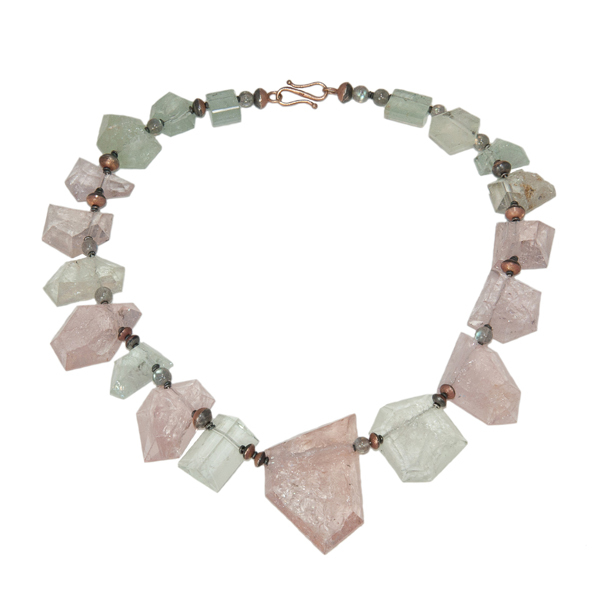 Nineteen pink and green beryl “chunks” with labordorite beads, rose gold and oxidized silver accents. See the pink and green earrings that complete this look.